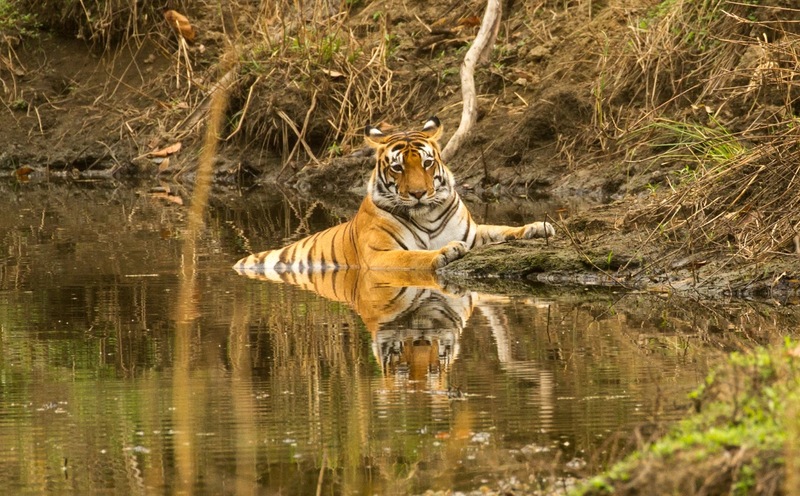 Most of the visitors come to just have a glimpse of the ‘tiger’. However, the region abounds in art, culture and is a bird watching paradise. Welcome to Singinawa! A hamlet spread over an area of 110 acres that has many treats to offer. Singinawa offers a world class accommodation.with beautifully appointed cottages, lapped in luxury of the art and culture of the region and yet modestly priced.The excellent hospitality of the knowledgeable and friendly staff will bowl anyone over. A brief tour of the sprawling premises that has 18 cottages in the afforested area, an organic farm. a swimming pool a Spa walks next to the buffer zone of the forest area. is a delight. In the evening, an exploration to nearby villages, like Lagma, provide a vivid glimpse of the lives of Baiga tribes.Here their simple lifestyles are well preserved. The art of brewing ‘Mahua’(a local wine) from the extract of Mahua flowers, can be witnessed.The locals are fond of body tattoos. 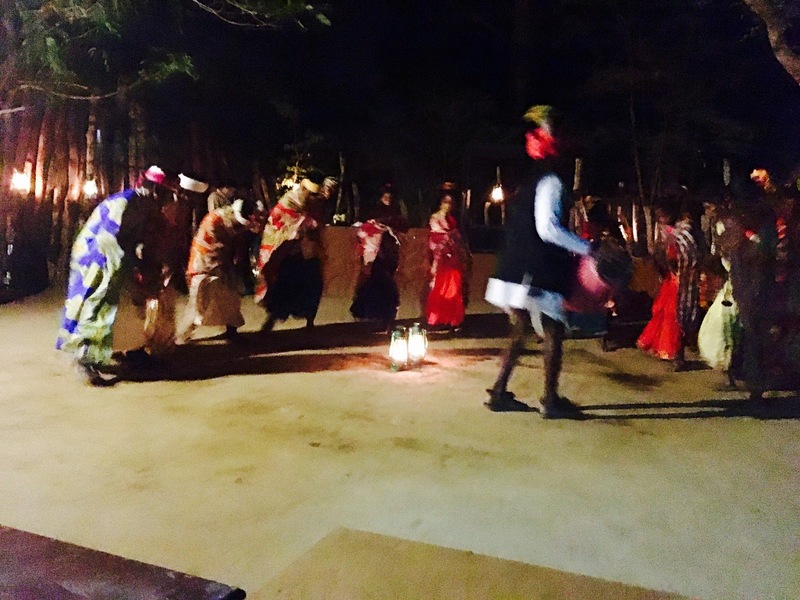 The beat of drums and a traditional dance is a perfect way to end the day. Next morning, an appointment with the ‘bird watching’ naturalist is a must! This experience affords travelers to learn about the calls and cries of different bird species, spot some rare birds in their natural habitats and ‘shoot them' with cameras’. Over 300 specimens of birds, both resident and migratory, ranging from the Green bee eater, White-throated Kingfisher to Black Drongos grace these environs. It is also not unusual to spot simians, rare spider webs, Ant weavers nest, and rabbits on their walks! Another experience not to be missed is watching local artists displaying their artistic skills of charcoal or 'Gond ' paintings.These artists excel in the art and use mostly organic colors and brushes made of old newspaper cones. A nocturnal safari to the Kanha forest to catch a glimpse of animals that prefer to show themselves after sunset is recommended. Singinawa is the only resort that can take the visitors for a ‘Night Safari’. The buffer zone of the forest can be explored by night to witness the eerie silence, punctuated by a hum of cicadas, a rustle of animals prying on the dead leaves, or many eyes glittering in the dark..The sighting of owls, fruit bats and some rare birds like the ‘Night Jar’is not uncommon. A lesson in meditation, indulging spa, cycle on the premises,well-stocked library, videos on wildlife or a swim in the beautiful pool are other options available to spend the time. Nestled in the premises of Singinawa, Kanha Museum of Life and Art houses a rare collection of art and artifacts of the Gond region.This gem is curated by Dr. Alka Pande, a renowned cultural theorist. Singinawa supports the cause of promoting the local arts and protecting the environment. Each visitor is given an opportunity to plant a sapling before he leaves.These experiences will only strengthen the resolve to come back to revisit the place for the rare treats it offers. Thanks a lot for yur kind words! I am happy you liked the post. Nowadays we are travelling to exotic places often. You have tempted me to visit this place! We are visiting soon! 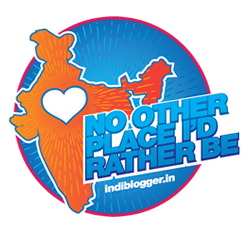 Thank you Rahul for this armchair trip. Wow... looks like you had a wonderful tryst with nature and wild life. Makes me want to go to Singinawa immediately. That looks like a lovely trip. Did you get to taste the Mahua? Absolutely Sujatha! A lovely place indeed! The first picture of the Tiger is so mesmerising. Lovely pictures and you are blessed to experience these beauties.